Mark has nearly 2 decades of experience in contentious work, having acted for corporations and individuals in commercial litigations and arbitrations (domestic and international) on a whole range of disputes. His practise has a particular emphasis on shareholders' and joint venture disputes, often with involving high stakes in the hundreds of millions and cross-border elements. Another of his main areas of practice is in banking and insolvency litigation and restructuring. He has advised both creditors and insolvency practitioners in many of the numerous prominent corporate insolvencies and personal bankruptcies. 2017: “Rising star” by International Financial Law Review 1000 in 2017. 2018: “Future Star – Bankruptcy & Insolvency; International Arbitration” by Benchmark Litigation Asia-Pacific 2018. 2019: Legal 500: Acknowledged Mark as a “great strategic thinker”. Mark has acted for clients in various domestic and cross-border commercial litigations and arbitrations. The cases which Mark has handled include banking disputes, shareholder/investment disputes, employment disputes as well as claims by and against his clients for breaches of fiduciary duties, fraud conspiracy and other corporate-related wrongdoings. He has also acted in domestic and international arbitrations with very substantive interests or amounts at stake. The cases he has handled includes the recent case of Winsta Holding Pte Ltd and another v Sim Poh Ping and others  SGHC 239. Mark’s practice has successfully represented and advised many of his clients who are involved in highly acrimonious shareholders’ disputes with large amounts at stake. Many of these cases involve cross-border elements, involving complex issues of foreign law and the need to navigate local rules and regulations. Acted for a Singapore incorporated company in relation to its joint venture dispute, involving 2 shipyards in Zhoushan, Zhejiang China. The on-shore joint venture partners threatened to hijack the entire interests in the shipyards which would have resulted in losses in excess of US$150 million for the client. Worked closely together with our Shanghai representative office as well as local PRC counsel to conduct on-shore investigations and inquiries to obtain a better appreciation of the opposing parties’ profile, and to take steps taken to retain control over the shipyards. The matter was settled amicably. Acting for a Singapore listed company in relation to a dispute over the ownership of a hospital located in China. The client had purchased a 75% indirect interest in the hospital, through a Hong Kong company. The opposing party took steps to hijack the entire hospital through fabrication of documents and a series of fraudulent litigations. Commenced arbitration against the opposing party before the Singapore International Arbitration Centre, and worked closely with PRC counsel, as co-ordinating counsel and co-advisor to the client, to defend or prosecute (as the case may be) multiple litigations before the PRC Courts. Acting for a Singapore listed company in relation to a dispute over a reverse-take-over of an on-shore company which was represented to have a coal-bed methane concession covering over 400 square kilometres and a 30 years coal mine gas extraction concession over 100 square kilometres, both in Hancheng, Shanxi China. The client commenced proceedings before the Singapore High Court against 23 defendants, with entities and individuals incorporated or based in Cayman Islands, British Virgin Islands, Paris, Hong Kong and China, alleging that they had made certain material and fraudulent misrepresentations on the information and value of the on-shore company. Acted for a family of Chinese nationals in defending legal proceedings by a Singapore listed company. In the proceedings, it is alleged that the clients had conducted the business of its on-shore Chinese subsidiary in Longyan, Fujian China, in a fraudulent manner by inter alia creating fictitious receivables of around RMB700 million and misappropriating the funds of the group. After a protracted litigation, the matter was settled amicably with a good outcome to the clients. Acting for the judicial managers of a Singapore holding company, which had significant assets and operations in China; it had more than 20 on-shore Chinese companies which owns and manages hospital and medical facilities in various parts of China, sells medical equipment and the provides professional medical services. The estimated value of the group’s assets was estimated to exceed RMB 1 billion. Shortly after a creditor applied to place the Singapore company under judicial management, one of the main perpetrators transferred the entire operating business in China to an entity owned or controlled by himself or his nominees. The judicial managers are working closely with the provisional liquidators of an intermediate holding Hong Kong company to reverse the transfers and recover the operating business. The same perpetrator, acting in concert with his accomplices, siphoned off significant funds through elaborately planned schemes to themselves or their nominees within China. The Judicial Managers commenced proceedings before the Singapore High Court to recover the siphoned funds from various defendants. 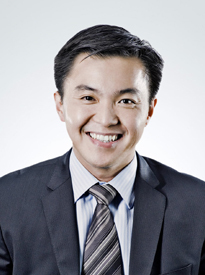 He has also acted and advised financial institutions and insolvency practitioners in several high profile insolvency restructurings involving SGX main-board listed companies. Mark was part of the team advising China Aviation Oil (Singapore) Corporation Limited in its debt restructuring exercise, involving over half a billion US dollars in debt, which is by far one of the largest successful debt restructuring exercises in Singapore’s history. He has advised insolvency practitioners in several major insolvencies, including advising bank lenders in contesting an application by Pacific Andes Resources Development Limited (the Singapore listed holding company of the China Fishery Group) to restructure its affairs in Singapore. More recently, he was part of an international team of lawyers who successfully restructured offshore drilling contractor Seadrill. The group’s US$20 billion restructuring of contract and debt obligations comprised an amended Chapter 11 plan that followed a global settlement with major creditors in February 2018; a series of ring-fencing transactions to protect non-consolidated businesses from bankruptcy including in Brazil and Mexico; banking facility amendments; Bermudian provisional liquidation proceedings and schemes of arrangement; a Chapter 15 case; the recognition of the Chapter 11 in Bermuda; and out-of-court restructurings for four corporate sub-groups. The result was a much simplified corporate structure and over US$1 billion in new money for the Seadrill group, recoveries for all creditor constituencies and equity holders, and a resolution of US$1.8 billion in contingent liabilities from the construction of new drillships.